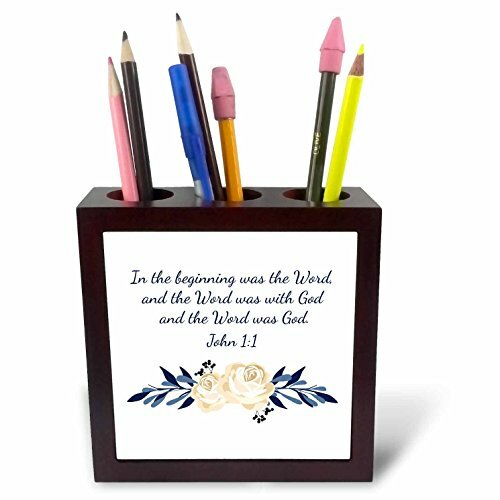 Scripture John 1 In the Beginning Was the Word Tile Pen Holder is great on a desk or counter top. Made of high quality solid wood with a satin finish. Image displayed on one inset high gloss 4.25" x 4.25" ceramic tile. Overall size is 5" x 5" x 1 2/3" with 3- 1 1/3" top holes.